No one goes into a career in architecture because they love to crunch numbers or deliver hard data. But once initiated into the tribe, it has increasingly become a reason for many to stay. This is where we find ourselves today: instead of surviving on our wits – we’re surviving on analytics. Practicing an art and a science, architects naturally run both ends of the spectrum. Some consider themselves artists first and foremost, unconcerned whether their designs ever see daylight. These paper architects, updated for the conceptual age as digital architects, perform primarily in pixels. And give architects their not always positive reputation as artists. At the other extreme are architects for whom it is all about the hard evidence. For them a day at work is more CSI: Crime Scene Investigation than CSI: Construction Specifications Institute. Feeding on constraints and ever-changing regulations, design for them is a matter of looking-up and plugging-in information that’s required and, if necessary, trimming off the excess – literally in the trim command, trim tool or by way of value engineering. So when BIM came along, these hardscrabble architects pounced on it. They love the plug-‘n-play apparatus. They devour the dialog boxes and cannot feed enough information into them. Rather than being exhausted by the umpteenth request to provide information they’re energized by it. As though to say, hit me with another question. It’s not that BIM has done away with RFIs; they’re now embedded in the program. These are the people who grew up watching game shows and love to answer trivia. I’ll take Creating New Types and Templates for $1000 and Instance Properties for $1500. The reality is that we need both types of architects. I have argued here that in the best of worlds the two would reside in the same person. Others have argued elsewhere that it’s good for project teams and organizations to have both types of people, to provide flexibility and agility, and to serve as a checks and balances function to assure the work stays in line. But how much information is too much? 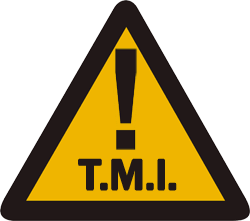 Could there be a fear of too much information (TMI) – too much I in BIM? For that is the crux – to know how much information is needed and when it is needed. And while this has been addressed, particularly in some of the better contracts, it’s a mindset and skillset that needs to be developed that we’re talking about here. It’s like when a sales rep calls on you at an inopportune time – say on your way into a design presentation and you unadvisedly or unwittingly took the call. It’s not bad information that they want to impart – it’s just not the right time for it. A week later that same information may come through for you and help you get your design approved. Just not now. This ability – to gauge how much information is needed and when – is not a new skill but it’s just never been more important than it is now for individuals, teams and firms to acquire. It’s not only a matter of knowing where to hit the hammer, it’s a matter of recognizing and acknowledging the context so you can nail the the question: of the project phase, who will use the information, what they will use it for and when they will need it. And this ability is age-related: it is easier for senior team members than still emerging talent to see the bigger picture. Malcolm Gladwell in Blink called this ability to see information in its wider context: coup d’oeil or court sense or “giss,” the power of the glance, the ability to immediately make sense of situations. Call it Information Intelligence (II) the uncanny ability to gauge when, how and to whom to apportion information. Developing this ability in your staff – and hiring for Information Intelligence or II skillset – will save more time, fee and headaches than any other single move you could make right now. It takes an understanding of the technology, as well as how buildings come together. But the higher science of this knack is a people or social skill: understanding how people receive information, how much of it they can consume at one time, what the best format for the information is so that it finds its highest and best use. We have all had the opportunity to work with people who have the II gene. They possess the uncanny ability to gauge and deliver just the right information, at the right time, to the right person, in the right way. While important to know, what we’re discussing here is a higher order matter. The process should be like an onion where you’re building an onion backwards. You’re putting on the overall scope and slowly putting in each layer inside until you get all the way down. It’s very difficult to do that in BIM because the first time you put in a wall it asks you how thick is your drywall? What’s the least amount of information that is needed at this moment to get the design intent across? What’s the role of “hard facts” and just how hard are they? Owners see data this way: the facts, pure and simple. Constructors and design professionals know better, because they know more. This is where things get more complex and uncertain. Contractors put their own spin on the data when they indicate other contributing factors to consider – adjacencies, impacts to schedule, availability of labor, codes, etc. They see the data within a larger context. Architects are wont to bring up the sociological impacts, the social impacts, psychological impacts and not mention the equally important aesthetic impacts of the decision-by-data point. Statistics are definitely in. Evidence the evidence-based everything. The New Yorker’s June 7 2010 issue lists the top jobs for the coming decade. Most involve information, metrics, data analytics or statistics. But last time I looked architecture remains an art and a science. And while it is foolhardy to justify subjective, aesthetic predilections by any other means than by invoking hard data – it will make you this much, it will improve quality, it will get the project done on time – it does nothing to stop an underlying and critically human need for subjective, aesthetic predilections. Still, there’s a point when TM is definitely TM. Just as “Death by PowerPoint” is a criticism of slide-based presentations referring to a state of boredom and fatigue induced by information overload during PowerPoint presentations, Death by DataPoint is the state we feel as design professionals when relegated to feed the beast by plugging-in infinite streams of information. So let’s put an end to TMI and work towards just enough, just-in-time information. Can I help them get this information? How can I best communicate this? By doing so we’ll do everyone, including ourselves, a favor. Happy architects are all alike; every unhappy architect is unhappy in his own way. Architects complain that contractors and owners are positioned to benefit from utilizing Building Information Modeling (BIM) and Integrated Project Delivery (IPD) but that architects are not. It is clear that owners and contractors benefit from BIM and IPD. That there are fewer RFIs because the technology detects clashes before they occur in the field alone should be reason enough to convince owners and contractors that it is to their benefit to work collaboratively in BIM. But there is more – cost estimating done in advance, value engineering on the fly – the list of benefits seems to get longer every day. So who wins? The owner wins. And to a lesser extent the contractor wins as well. Architects complain that they have to do a lot more work up front, often hourly at-cost – and do work that they normally would do later in the process, and get generously compensated for. So what are architects in it for? What do architects hope to gain by going down the BIM and IPD path? We went into architecture originally to be professionals – and somewhere along the way we were wooed by the prospect of making money. Yes, we need to survive and not be victimized, take-on needless responsibility and risk without opportunity for reward or recompense. But the truth is if we work hard and do a good job it will be recognized – perhaps not on this project but the next. We are motivated to do a good job – not by extrinsic rewards but rather by the promise of rewards more intrinsic. But then the money’s doled out and we cry foul: the contractor and owner see all the benefit. First we must realize that this is not true. We always did more work than we were compensated for. Today, with BIM, LEED and IPD, is no exception. To empower ourselves – right now, at this moment in time – we need to do the work, earlier in the process, upfront, and yes maybe more of it than we’d like. What’s the value proposition? We ask, despite the fact that if we were honest with ourselves we’d have to admit that the words – “value proposition” – weren’t even in our vocabulary a few years ago. 1. We first value ourselves and our own contribution and our own people. If you don’t value yourself and your people how can you expect others to? 2. Do the hard necessary work. Communicate with the contractor – what is needed for their model to be worthy, useful? Talk to your attorney and insurer – identify where they are willing to give a bit – and take it. 3. Be the ultimate professional you are capable of being. Be fun to work with – yes, fun. Be someone others want to work with. They will come to you again as much for the experience as for the sheer joy you create in others. 4. Identify the things you can leverage – your permitting ability, your political connections or clout, your experience and insights. So for now, you may not get rich like the contractor or like the owner, but…do it anyway. Do it anyway? That’s right. But what’s in it for us architects? 1. You’ll stay in the game. 2. You’ll be the first others think of when things pick up. 3. You’ll gain valuable experience working with BIM and related technologies and the collaborative work processes enabled by them. 4. Perhaps most of all, you’ll be perceived as being easy to work with. So in the meantime – no matter the answer – do it anyway. While the answer is being worked out – you’ll be at the game, at the show. It will go a long way to prove yourself a team player. And that in itself, in this economy, in these crazy times, is something, not nothing. That you’re in it for more than obvious financial gain will become apparent to all and appreciated by a few. For now, for the time being, do it anyway. But they won’t praise us. The extra effort won’t be appreciated. It’ll just give us additional exposure we don’t need. They say they’ll just use another firm if we balk. They say we won’t get any more money because we should have been doing this all along. As much as you might like to, you just can’t avoid it. You can’t resist it. No, you can’t sit this dance out. You have to go through with it. You have to play to win. And if you play nicely, with a good attitude and a positive mindset from the outset – all the better. The way out is the way through. There is no other way. Not around. Not under. Not by standing still until 9you hope) it goes away. There are no workarounds for architects in the Game of BIM, LEED and IPD. You have to show to play. And you have to play to win. Being obstinate won’t work. Blocking, playing hard to get, holding back, balking, withdrawing, thwarting, resisting or retreating – none of this behavior will work. There is only one thing that will work right now, today. Author Kent M. Keith was a Harvard student in the 60s when he first wrote “The Paradoxical Commandments,” a manifesto about doing good in a crazy, ungrateful world. These commandments have been quoted by the Boy Scouts of America and discovered in Mother Teresa’s children’s home in Calcutta. They’ve taken on a life of their own and are the basis of his repackaged and expanded book Anyway: The Paradoxical Commandments: Finding Personal Meaning in a Crazy World available for a penny, .01 cent, here. What architects need most to do is to do the right thing. Architects need to do good, right now, in a crazy, ungrateful world. 1. People you work with and for are illogical, unreasonable and self-centered. 2. If you do good, contractors will accuse you of selfish ulterior motives. 3. If you are successful, you will win false friends and true enemies. 4. The good you did yesterday will be resented today and forgotten tomorrow. 5. Honesty and frankness make you appear weak and vulnerable. 6. The biggest architects with the biggest ideas can be shot down by the smallest clients with the smallest minds. 7. People favor underdogs but follow only top dogs. 8. What you spend years building may be shelved or even destroyed overnight. 9. The public and users really need help but may attack you if you try to help them. You may not have a shirt on your back – and your shoes may be in ill-repair – but you can have these. BIM , LEED and IPD – or BIM and Integrated Design, for short. BIM is the shirt on our backs. LEED and IPD each of our shoes. There are a lot of reasons to learn BIM. And a lot of reasons to study and take the LEED exam. I have in my time been accused of being an architect. And, by association, idealistic. I suggested the other day to a colleague in my network that there was a dollar amount above which was unnecessary for me to make to be satisfied, fulfilled and happy. And that person called me an idealistic architect. And in doing so he was being redundant. Idealistic defined here as foolhardy, unrealistic and lacking any business sense. Doesn’t pay what I’m worth? I don’t care – I do it anyway. Feel helpless? You are not your feelings. The feeling will pass. Too many people out there competing for the same positions. 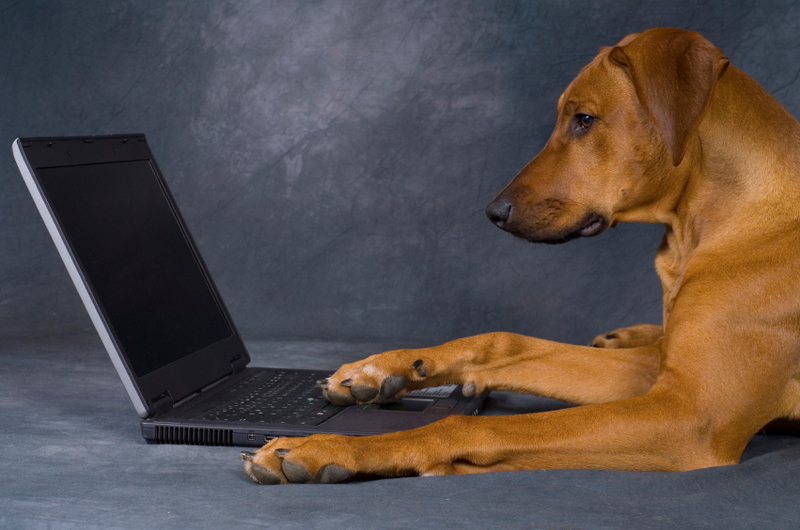 Can You Teach an Old Dog New Tips and Tricks? There are two approaches you can take to BIM at mid-career. 1. You can play the role of experienced architect and – in the classic architect/apprentice fashion – sit beside the agile BIM operator reciprocally feeding your building technology input in exchange for their BIM magic. 2. Master BIM yourself and become the real deal, all-in-one, all-of-a-piece, master virtual builder. BIM operator not included. Some rules apply. where coordination may be needed. intrinsically rewarded knowing that she has passed along some hard-won lessons and experience to the next generation. Mid-career architects may have an advantage that gives them a leg-up on learning BIM – both the technology and collaborative work process. So it is no longer only experience, wisdom and hard-earned professional judgment that distinguish the experienced architect. When I was working for x, one of the amazing things about him – he could keep so many things in his head and he could balance them and weigh one against the other and he could edit out what he called the systematic generation of useless alternatives. He would prevent us from going down that avenue. A lot of the sorts of things that are transactional – does the building work from a fire code perspective, do we have the right orientation for the sun – a lot of that stuff is going to be supported by analytical algorithms, which I do believe for good designers will change the nature of the design process. The presence and example of mid-career and experienced architects in the workplace is absolutely critical to the success of projects and the firms in which they are designed, modeled and documented. Change, a timely subject, with Oscar contender Crazy Heart ‘s Jeff Bridges living the “it’s never too late” theme. For it is never too late for mid-careerists to learn a few new tips and tricks. Or are we talking here not about habit change but about learning a whole new technology, mindset and work process – the whole shebang? Can mid-career architects learn BIM? And should mid-career architects be learning BIM? The first is a question of the middle-aged brain and its capacities. The short answer is Yes. The second is a business and professional question: one having to do with roles, identity, profitability, ROI, personal growth and development. This second question is more situational – while it is a business question, and a career one, it is also frankly, a personal decision. The money factor does come up. At their hourly rates, especially as firms aim to work leaner and more efficiently and effectively – does it make sense to see a 48 year old working in Revit vs. sitting alongside a younger BIM operator, one hand on computer technology, the other on building technology. Will mid-careerists be able to not only change but keep up? Absolutely. It all comes first and foremost down to attitude and mindset. It involves giving up past ways of working that are at once familiar and comfortable – but detrimental to your work, progress and ultimately your indispensability. To do so mid-career architects will need to reinvent themselves. The world, industry and profession is not the same world we inhabited just a few years ago. So we will need to change, adjust and adapt. When things return – we won’t be returning to the way things used to be. The old formulas simply don’t apply anymore. For most, learning the technology is a no-brainer, a non-question: KFA offers a half-day quick start training course in BIM that will get you off and running, and resellers offer some powerful 3-day workshops, not to mention tutorials, online and old school. Several of the IT experts I interviewed for my book scoff at the idea that learning to master BIM is even difficult. They don’t even question whether 50 year olds can learn it. It all really comes down to what you want, where you want to see yourself 5-10 years down the road. Dante Alighieri, age 35, was halfway through his biblically allotted seventy years when he wrote these magisterial words. One typically defines a mid-career professional as someone who is 35-50 years old, has worked in their field for at least 10 years, and is at least 10 years from retirement. By this definition, Dante was a mid-career professional. It is best for the mid-career design professional to think of themselves today as re-emerging. Given the economic conditions we are currently subjected to, we are all – or soon will be – re-emerging professionals. The world has undergone some massive changes in the past several years and along with it the industry and profession. When work returns we will all be re-emerging with the economy, with building owners, with each other. Architects who are working at capacity (the minority,) at under-capacity or not at all (the remainder) – are re-emerging mid-career into a bright new world brought about by three forces: sustainability, technology and business – or roughly speaking LEED, BIM and IPD. For more on this theme, see Scott Simpson’s brilliant designintelligence blog post on the same. So, how to train a re-emerging architect? There are 4 steps the mid-career architect needs to assume before taking a first step into this bright new world. If you haven’t done so already, learn BIM – the technology and the process. If unemployed, invest in yourself and join the Autodesk Assistance Program, where even mid-career architects are considered students. The program has been extended through March 2010 so you can take advantage of it. Think of it as training. Why training? Because in 2010 we will need to reinvent ourselves to adapt to a changing world, industry and profession – and to do so there is no better way than to train. Why would you continue to do the same things over and over when you already know what the outcome is going to be IF you are looking for a different outcome? Or, as Albert Einstein put it, The definition of insanity is doing the same thing over and over again and expecting different results. The New York Times recently ran a popular story on How to Train the Aging Brain by health blogger Tara Parker-Pope. In the story – and the informative comments that follow the article, many long-held views, including the one that 40 percent of brain cells are lost, are overturned. We learn that brains continue to develop, neurons continue to multiply, synapses continue to connect (even if neural connections progressively weaken with disuse and age,) through and past middle age. As Pope and Barbara Strauch in the New York Times explains, “What is stuffed into your head may not have vanished but has simply been squirreled away in the folds of your neurons.” Much the way that information can be buried inside a BIM model. For those fortysomethings that can regularly access deeply folded information in their own minds may hold the key for where to place information in the model so that it is readily accessible by all. With a brain already full of well-connected pathways, adult learners should “jiggle their synapses a bit” by confronting thoughts that are contrary to their own, says Dr. Taylor, Kathleen Taylor, a professor at St. Mary’s College of California, who is 66. She asks: Is there a way to train the middle-aged brain to do better? To learn more, read the full story, “How to Train the Aging Brain,” and read the discussion. Architects not only need to consider working longer due to increased life spans, but also due to the economy stalling their retirement – if they ever intended to retire. Historically, architects tend to retire late as it is and some it seems never retire. Oscar Neimeyer recently returned back to work after surgery. He is 101. Which supports the truism that architects never retire. Witold Rybczynski recently asked why architects don’t ever retire. For many that have seen their retirement accounts dwindle, this may seem like an insensitive and moot question. Architects may quip that they want to spend whatever time they have left working, but given that they have more time to learn – how is it best to use that time? Retrain for a new career? Learn new technology to enhance or reinforce a current position? Will learning BIM – the technology and collaborative work process – help to make mid-career design professionals indispensible? In need of some good news? Or better yet, a job? As reported today in the New York Times, the nation’s employers not only have stopped eliminating large numbers of jobs, but appear to be on the verge of rebuilding the American work force, devastated by the recession. Additionally, there’s increasing evidence that the jobless rate may have already reached its peak. So what does this mean for architects? The good news is that the job increase appears to be no less true for the architecture profession, in fact for all design professionals and others in the construction industry. At long last, there are architecture jobs to fill – and a lot of them at that. And in most cases one doesn’t have to move to the other side of the earth to fill them. In what can only be seen as a sign of optimism, in the past month there are more BIM-related job postings nationwide than at any time since the start of the recession. Due to the increase of firms adopting and implementing BIM work processes, it looks like there’s going to be an early holiday for at least some design professionals and others in the construction industry. This news will inevitably serve as a win-win for those who took the time during the first years of the recession to invest in training, had opportunities to either train others in BIM and related applications and plug-ins, were fortunate enough to have worked on BIM projects, or otherwise have concentrated their efforts on helping to facilitate the adoption and implementation of the BIM process for firms just starting out in the new technology. Anecdotally, if the recent uptick in the number of inquiries by the staffing and recruiting industry for this one architect is any indication…things are beginning to look up.